As we step into the season of Lent, we’re not always ready or in the proper mindset. We’ve been in the Season of Epiphany, still basking in the glory of Jesus, born at Bethlehem, baptized in the Jordan, revealed as Son of God and Messiah. Last Sunday was our celebration of the Transfiguration: Jesus, shining on the mountaintop with Peter, James and John, declared by the Father to be His Son. The disciples would like to stay but by this time, the Lord had “set his face toward Jerusalem.” Already, Jesus was looking toward his passion, death and resurrection—for us and for our salvation. And we’re on our way to Holy Week and Easter, ready or not. Lent is a blessing to us because it’s time for an “attitude adjustment.” Not ready for Holy Week and Easter? Good! Lent gives us time to focus and prepare; time to be in God’s Word, calling us to repent and believe; time to respond to Emmanuel, God-with-us, by reorienting our lives. Lent gives us time to confess once again that we dare not trust in ourselves, thinking ourselves righteous! 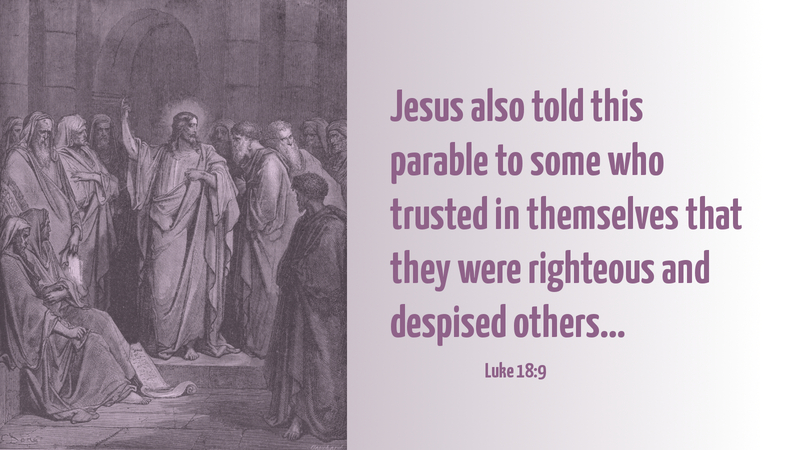 The parable Jesus tells is about the Pharisee and the tax collector who go up to pray in the Temple. The Pharisee is arrogant and trusts in himself and his own actions. The tax collector is humble, acknowledging his sinfulness, praying, “God, be merciful to me a sinner.” Jesus tells us this man went home justified, not because he was humble or repentant, but because he realized his need for God and God’s forgiveness! Lent is not about proving ourselves righteous, or spiritual, or obedient. Lent is about confessing that it is by God’s grace that we are forgiven, saved and renewed. Prayer: Lord, be merciful to me, a sinner! Amen. Today’s devotion was written by the Rev. Dr. David M. Wendel, Assistant to the Bishop for Ministry and Ecumenism. Video of each day’s devotion is available here. The 2017 Lenten Devotional, based on Year I of the LBW and written by Pastor David Wendel, is available for download/printing in two formats and as a daily text/email message. To receive daily devotionals via SMS, please text @NALCLENT to 614-682-8693. 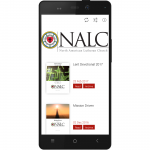 To receive daily devotionals via email, please visit: NALC Lenten Devotional. The 2017 Lenten Devotional is also available in both the Apple App Store and Google Play Store. Search for NALC WALK OF FAITH. 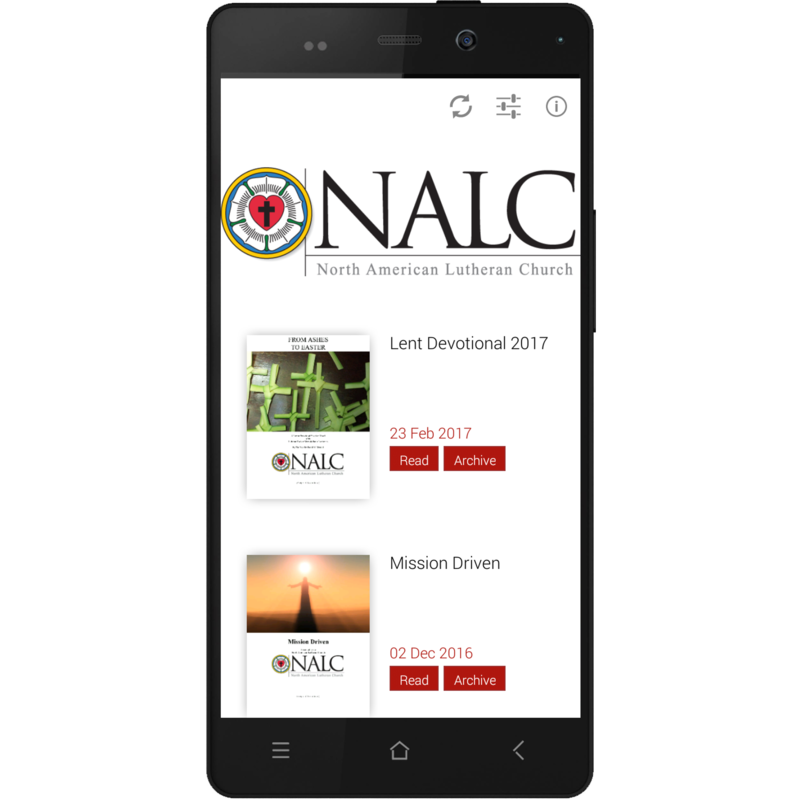 If you already have the NALC Walk of Faith app, just update it by clicking the “download” button next to the devotional for Lent.